Poemland (Wave Books 2009) comes without a table of contents or index of first lines, but with plenty of barcodes. No individual poems have titles (if there are individual poems) but every so often there will be a fully inked page (and barcode) that creates a sort of divider. By looking around online, it seems that each page contains a discrete poem (usually four or five lines long), though ideas continue across several pages. I’m fascinated by the whole thing, and the seeming randomness of application and tone. Here are a few poems (I think), as example. They all come from the same section (if it’s a section! ), early in the book. I like to live a hard life but I know I shouldn’t do it . . . The crab fishermen don’t even want all the crab . . . they want money . . . Even though their mustaches are covered with ice . . . If you are a person you can also be someone’s goat . . . I can tell you about it for free . . . I can long remember a nastie thing . . . If it is well done . . I look to the left and right with my eyes and then I swing the sharp thing . . .
As you rise out of a cloud on a mechanized contraption . . . If you open your mouth to start to complain I will fill it with whipped cream . . . There is a floating sadness nearby . . .
Don’t try to walk away from a little girl like me! This is a recollection of flopped happiness . . .
And it is a fistfight in the rain under a held umbrella . . . There is a way to smoke your cigarette and look out the window but you’ll never get enough of it. I'd really like to read that... to Amazon, I guess. I like it like glitter drums! Oh, and I love showing ZIRCONIA to my students. It frustrates them, but she's got some killer lines in that book. Looks like I've got to get this one. And now all my big buy money is gone. It's back to squares. 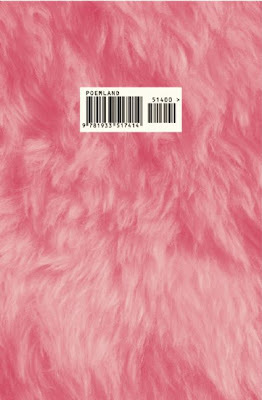 I like Poemland well enough, but I think her best book is Bad Bad. The long sequence of multiple prefaces knocks me out every time. I assigned Bad Bad in a graduate workshop last year, and really enjoyed teaching and discussing it. I think she's one of the more distinctive and original writers out there, with a poem-logic all her own. I find it amazing how much people seem to dig CM's poems; I find them so, well, whateverish: yahyah, she's had work rejected etc; isn't that obvious in an un-interesting way (the obvious can be totally interesting, please don't read this quip as a general diss!) --why write poem lines telling us so? This post is really responding to BadBad not Poemland, a self-reflexive title I don't enjoy. The excerpts you've included are sorta fun/clever, but are they really that distinguished? I brought Poemland to a group of young writers last week, and the conversation was all over the place. From praise for the imagination and energy of the deadpan in the book, to hostility and the sort fo reaction you have here, and kind of "whateverish" blandness . . .
One person said it seems like one of the goals of the book is to find a way to irritate as many people as possible, and I found that fascinating. This is the only book of hers I've read, and I've already suggested it to friends, knowing reaction is going to be, again, all over the place. I think there's a value to that. Although I don't like her work, I think she's brilliant at making a reader feel "in the know"--like gabbing with the cool crowd! I think this may be why she has hit a chord with folks. There is no doubt something impressive about this feat, it's just not one I'm interested in. This may be a bit absurd, but I'd love to see CM write on one of my heroes--Naomi Campbell!!!!!!!!!!!!!!!! Well, if she were going to write on her with, say, a permanent marker, I'd like to see that too! I'm confused: why would anyone want to deface Campbell! It doesn't have to be a defacement. It could be a poem or something. Maybe a nice phrase down her side? Maybe something from Poemland! Chelsey Minnis -- I like her poems! What Is Careerism for Poets These Days Anyway? Anis Shivani Wants to Start a Fight. Any Takers?